My classic literature book club is reading Plato’s Apology, Crito, and Phaedo of Socrates this month. Our focus has been on classic novels written in English by deceased authors of works published prior to the mid-twentieth century. Last year, the only similar work to Plato’s was the classical drama of Oedipus Rex. While this month’s work is also a story, Plato tells it in the form of what has become known as the Socratic dialogue (just “dialogue” in his time), a debate between Socrates and others. This form pervades “Crito” and “Phaedo,” whereas “Apology” is more of an extended trial testimony by Socrates in his own defense. 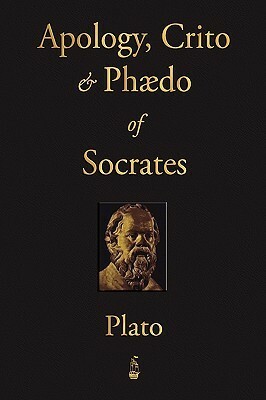 With a BA in philosophy, I find amusement in the reading as well as in the fact that, until this month, I was under the impression Plato was Socrates’ master, but it was the other way around. My schooling was less in the history of philosophy than in the ideas themselves, if that’s any excuse. I did select the Socratic dialogue approach for my senior-year paper on conformity, using Henry David Thoreau’s Walden as my source text. It’s interesting to return and read a philosophical work that’s new to me, though the ideas within are less so. A large part of philosophy is about challenging assumptions. Perhaps ironically, my senior college paper challenged the conventional wisdom, or assumption, that a college education is something everyone should pursue. Since college, I have discovered various better reasons than I used in the paper to support the negative response to that basic question, but I digress. Philosophy is also about developing the skill of rhetoric to argue a position you do not necessarily agree with. Considering the counterarguments to your philosophical thesis on a topic, and coming up with responses to those counters, is key to a strong, persuasive presentation of that thesis. If I were to worship a god of philosophy, it would be Socrates, his greatest lesson in my view being, simply put, “I know that I do not know.” I discovered the quote outside the context of its origin in this rendering of Socrates’ story by Plato. Far too few people heed the call to humility embodied by that statement. The results are, for instance, little things called wars, sometimes religious in nature. Most people are just so frightened by uncertainty and mystery that they cannot cope without religion. Periodically in touch with my own degree of conformity, I consider myself to be agnostic on the questions of a supreme being, the soul, and the afterlife. This means I do not know whether there is one of any of these things or not. Maybe there is. Maybe there isn’t. You could say there is a sort of arrogance, if not cowardice, in this position that adds to “I don’t know” the assertion “and neither do you.” I profess ignorance about those things for which there is no scientific proof, and I claim your ignorance, too. I dare to put myself on equal human footing with everyone from the Pope to the plumber. We share mortality, capacity for reason, and the rest of the human condition–challenging self-concepts, emotions, relationships, moral dilemmas, imperfections, and so on. If such a claim is arrogant or cowardly, so be it. I make no apology. Socrates apparently experienced no uncertainty as to the existence of the soul, which is a major source of my amusement in reading the third dialogue of this text: “Phaedo.” At this point in history, with as high of esteem as we hold Socrates in, his assumption seems like a rookie mistake, something rather quaint. He argues for the immortality of the soul, which is the puzzle to be solved in “Phaedo,” and his foundational assumption is the soul’s existence. That is the common ground from which the discussion grows, a ground based on cultural context as much as, if not more than, on reason. Accused of corrupting Athenian youths with teachings in conflict with the Greek gods’ wisdom, Socrates’ self-defense in “Apology” consists partially of proving his loyalty and consistency with those gods. Fundamentally, then, no part of the subsequent dialogues could do anything but take gods’, the soul’s, and the afterlife’s existence for granted. Otherwise, there would have been no point in attempting to defend himself at all. However, on the face of it, it seems as though Socrates genuinely believed in these things. You may be asking, “Why wouldn’t he?” Well, philosophers are a type who do not tend to take the existence of the soul, or anything else, for granted. Some historical minds thought there was a soul; others did not. Still others focused on different questions, not addressing this particular one at all. The purpose of the discipline of philosophy is to use reason and critical thinking to examine the existence and nature of all sorts of things, in order to come to some degree of new insight or to establish or confirm a truth. Over the centuries of human thought, as of various sciences and other intellectual disciplines, thinkers have chipped away at the outer layers toward the core of wisdom. Being an early philosopher, Socrates worked under the disadvantage of having few precedents to draw from. Now, we can examine Socrates in light of the Rationalists, the Empiricists, ontologists, epistemologists, ethicists, political philosophers, analytic philosophers, and many more theorists. Our hindsight, so to speak, is much richer and sharper, though most of us will never approach Socrates’ sheer genius of mind. I may not assume the existence of a soul and, therefore, I may find the question of its immortality less relevant than Socrates did as he considered his moral obligation as a citizen condemned to death. But every argument is based on some kind of assumption. We have to start somewhere. And Socrates certainly proved his skill at argumentation within the realm of his own assumptions. He says the body is an impediment to wisdom, establishing the superiority of the soul over the body. He says the true philosopher shuns material things and “ornaments” of the body. He says the philosopher’s aim and advantage over other men is to transcend the body. By contrast, the soul, which for Socrates is synonymous with the mind, uses reason rather than the physical senses to gain knowledge. Therefore, death is the philosopher’s greatest wish, for it is in death alone that the soul may find absolute supremacy over the body, and only in death may true, unadulterated wisdom be attained. He explains that, granting this premise as true, one of two things follows: Either wisdom is attainable only in death, or it is not at all attainable. Separately, seeming to choose faith in wisdom’s attainability, Socrates takes the bulk of the dialogue to argue for the immortal nature of the soul, a portion I admit I have yet to read. One might call “Phaedo” simply Socrates’ elaborate peace making with his imminent death, but the questions are no less worthy of exploration, whether one faces death by poisoning or the presumption of plenty of life ahead. Besides, the sentimental would-be Socrates worshippers among us feel some solace in the notion that Socrates, not just his teachings, lives on. Perhaps the completion of my reading will convince me of his viewpoint. We’ll see. . . .